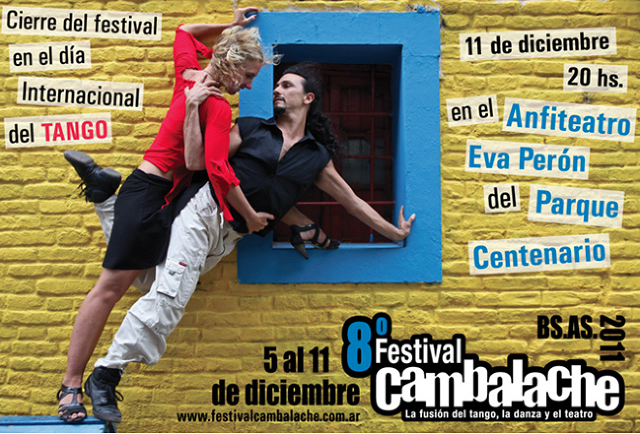 This year the Mundial del Tango celebrated its tenth anniversary. The two-week festival was filled with daily shows by orchestras and tango dance companies, as well as lectures, milongas and of course the salon and stage tango competition. There was also tributes given to the famous tango composer and bandoneon player, Astor Piazzolla, 20 years after his death; the world-renowned dancers, Gloria and Eduardo Arquimbau, who started their career in 1959 and were one of the principal couples in the show Tango Argentino; and of course, the queen of tango, Maria Nieves, who has decided to retire at the age of 74. In the salon and stage tango competition, 487 couples participated, representing 32 countries around the world. 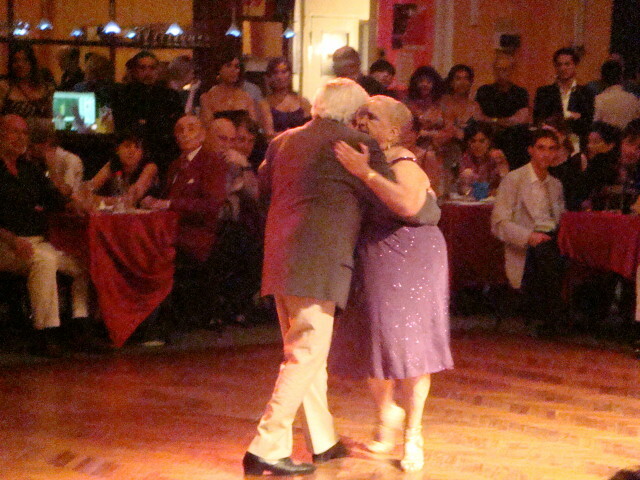 Many people have criticized this competition because they don’t believe that tango, as a social dance should be judged, particularly tango salon. Tango salon is not meant for the public, like stage tango. Many tango historians and writers define it as a feeling that is danced, one that is shared only between the two people who are dancing, not by the spectators. But how can one judge a feeling? Also, various people have questioned whether professional dancers should be allowed to compete against non-professionals. Yet there have been many professional, well-known dancers who have competed and not made it past the semi-finals. So what exactly does the competition judge? In tango salon, the competition seems to have created dancers to be clones of one another and consequently the dancers lack their own personality in the dance. As a spectator of the tango salon final it was difficult to see who would be titled the champions because the majority of the couples were very good dancers and they also danced very similarly. However it seemed as if all of the couples were holding back and not dancing and enjoying the tango like they do in the milonga. The stage tango competition is generally easier to judge because the dance itself is one targeted for an audience. Yet, many tango dancers and teachers criticize the competition for the lack of creativity in the choreographies, and the lack of true tango. As Maria Nieves said, “Menos aire y mas piso” (“less air and more floor”). In other words many stage dancers concentrate too much on doing showy tricks and jumps and forget about the real tango, which is danced on the floor, with an elegant walk, an embrace and a strong connection between the couple. Impressive technique has taken the place of passion and artistry in tango because many tango dancers instead of dancing for themselves are too concerned with the reaction of the public, who they think seem to be impressed only with acrobatic tricks. Also, the results of the competition have a lot to do with the judges and what kind of tango they like. 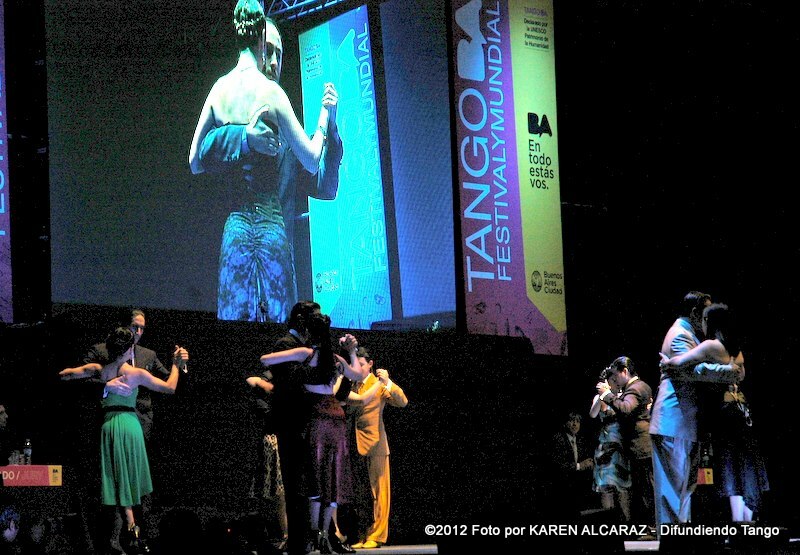 One of the most touching events in the Mundial was the tribute to Maria Nieves, the woman who embodies tango. On Tuesday night, at the end of the stage tango competition, Maria Nieves danced with the former stage and salon tango champions from the past ten years. The night ended with all of the champions dancing together with Maria shining in the middle of the Luna Park stage and the entire audience, made up of thousands of people, honoring her with a standing ovation. Maria, in an interview during the Mundial, states passionately, “El tango es un sentimiento…algo que primero hay que llevarlo en el corazón y luego a los pies” (“Tango is a feeling…something that you must first carry in your heart and then in your feet”). This is priceless advice that all of the dancers who compete should never forget. After all, tango is a feeling that is danced and that is what the dancers should emulate and what the audience should capture. While many dancers may criticize this competition, it is still a great way to bring people from around the world to the Buenos Aires to share their love and passion for such a beautiful dance. Any Tango enthusiast who’s tried to take photos in a milonga or Tango show will know what we’re talking about when we say that despite being endlessly photogenic, it’s not easy to take great photos of tango. Unless you’re a skilled photographer, the combination of movement + darkness is a difficult one, and even if you get the technicalities right, taking original photos that don’t look like every other tango tourist’s is a challenge. 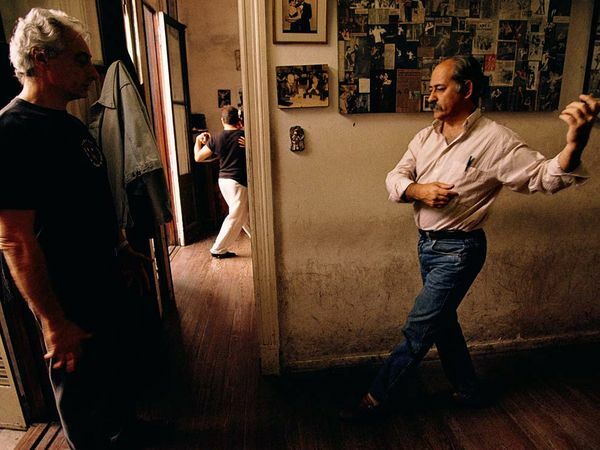 We asked our friends at Foto Ruta, experts in photography and the brains behind a new and original way to explore Buenos Aires, to give us their top 5 tips for photographing tango. There’s a lot more to tango than meets the eye. It’s a way of life and culture, that’s crammed full with codes, tradition, music and identity. If you understand the culture you can take photos that are empty of cliché, and instead tell a story. Narrative Tango Tours will help you get to grips with this side of things! If you can get there, you’ll find that shots behind the scenes will show you the whole story. Behind the sparkling dresses and red lipstick, tango is filled with interesting characters and situations – you’ll get some of your best shots backstage. Don’t just sit on the sidelines with all the other spectators, get involved, get in on the action and find the most interesting angles possible to make your photos original and give them a different perspective. Tango is about movement…obvio, so be sure to play around with shutter speeds. Capturing the movement of all or a selection of the dancer’s body parts can be really impactful and capture the spirit of the dance. Tango is an emotional, passionate, sometimes sad, almost always assertive dance. The facial expressions, brace of the hand, point of the toe…are all hugely important when capturing tango. Try to focus in on key elements, as well as the whole picture. You should get some interesting shots! 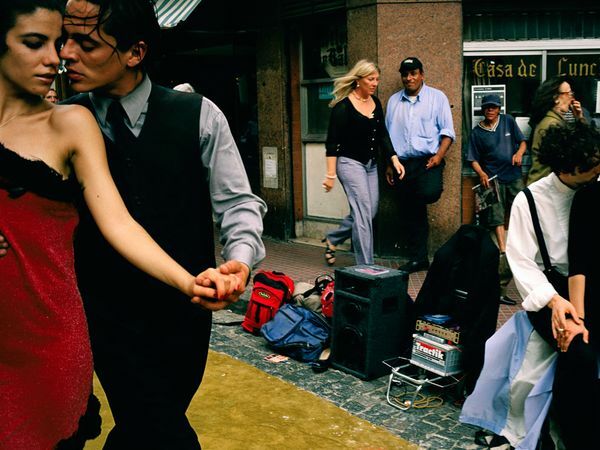 Fall in love with the TANGO in Buenos Aires. Let Narrative Tango Tours be your guide. Get to know our full list of tango services/packages and who we are on our website (www.narrativetangotours.com), connect on Facebook (facebook.com/NarrativeTangoTours), and follow us on Twitter (twitter.com/narrativetango) to stay fully up to date on all things tango in Buenos Aires and around the world. We put this video (and photo shoot) together one lazy weekend afternoon in San Telmo with a brilliant photographer and videographer team of Jocelyn Mandryck and Guillermo Bia. We’ve worked together with both of them on numerous projects, and each has always proven to be a success.